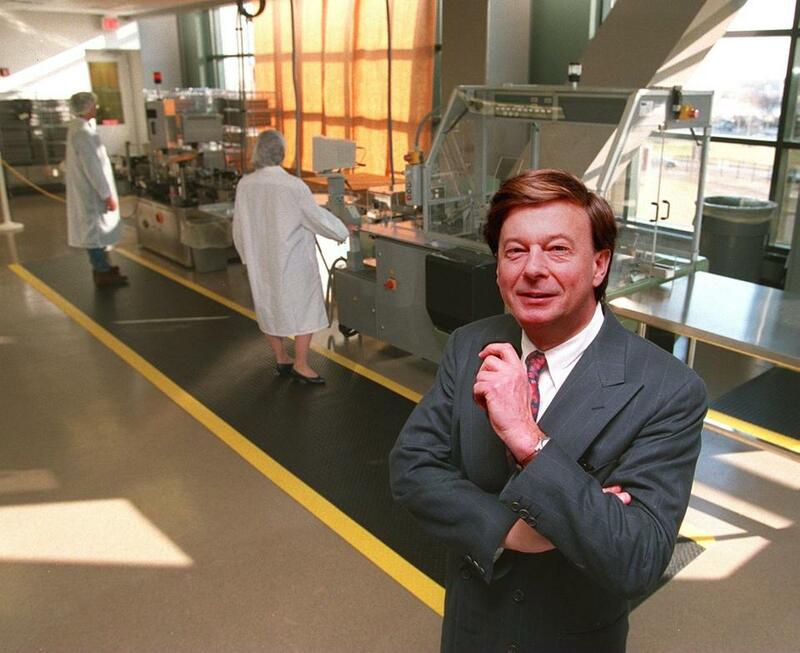 Biotechnology in Massachusetts was taking its first tentative steps from laboratories into the business world when Henri A. Termeer joined Genzyme in the early 1980s. Before it became an anchor of Cambridge’s life sciences cluster in Kendall Square, Genzyme had its offices in a warehouse at the edge of the Combat Zone — “the most romantic of neighborhoods,” Mr. Termeer would later wryly say of Boston’s former red light district. 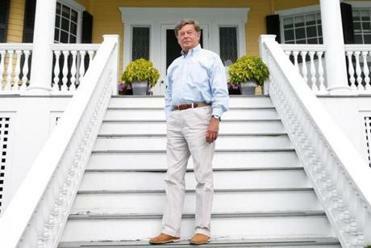 A founding father of the biotech industry, Mr. Termeer was 71 when he died after collapsing in his Marblehead home late Friday night. He had led Genzyme from 1983 to 2011, the year French drug giant Sanofi SA bought the company for more than $20 billion. With magnetism and warmth, and a deft ability to harness top talent toward a common goal, he guided Genzyme to worldwide prominence while helping shape the emerging industry. Pioneering a patient-centric corporate culture, he designed a much-imitated business model that would spawn hundreds of rare disease medicines. 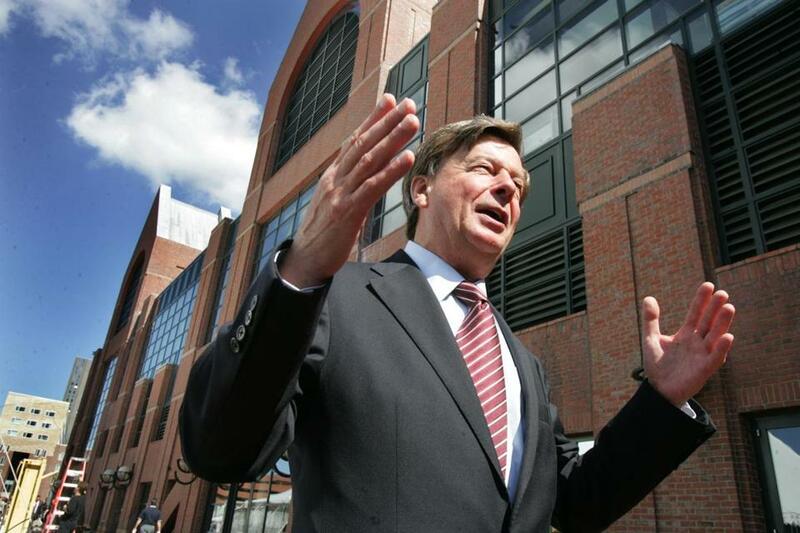 “He was the dean of the biotech community,” said Dr. David Meeker, president of Sanofi Genzyme and one of the scores of industry executives and entrepreneurs who consider the former Genzyme chief executive their mentor. Dozens of biotech chiefs trace their roots to the iconic Cambridge firm and their ways to the leader who molded them, Henri Termeer. By combining business acumen and personal connection, Mr. Termeer was a key leader in the biotech revolution that placed Massachusetts at the nexus of cutting-edge research and development. DNA sequencing had opened pathways to treating diseases — and new opportunities for emerging companies buoyed and inspired by Genzyme’s success. “For him, it was all about the mission: advancing science and trying to make the world a better place,” said Dr. Peter Slavin, president of Massachusetts General Hospital. 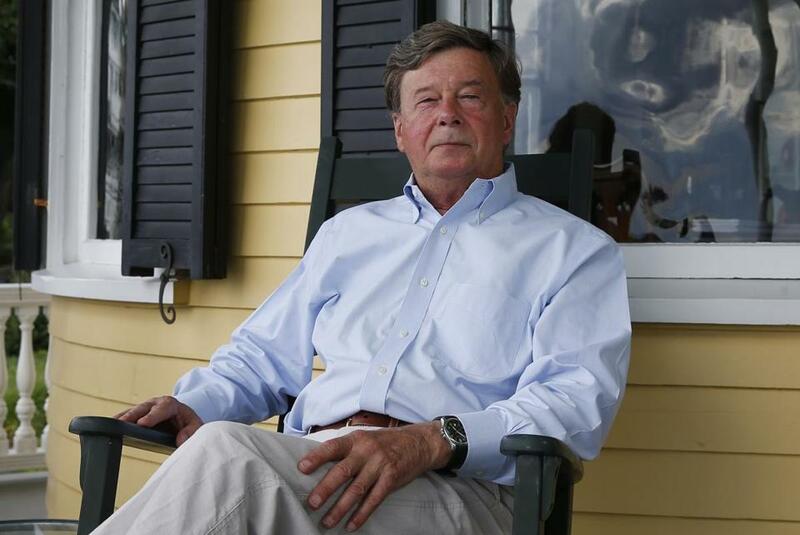 A few months after Mr. Termeer left Genzyme, he donated $10 million to launch the Henri and Belinda Termeer Center for Targeted Therapies at Mass. General and was on the hospital’s board of trustees. Mr. Termeer was “a true visionary and an exemplary leader,” Bob Coughlin, president of the Massachusetts Biotechnology Council, said in a statement. Mr. Termeer during a meeting with Genzyme’s management team in September 2009. Never breaking stride as an industry leader, he assisted with the transition for his Genzyme successors and continued with work he had begun elsewhere in the field. 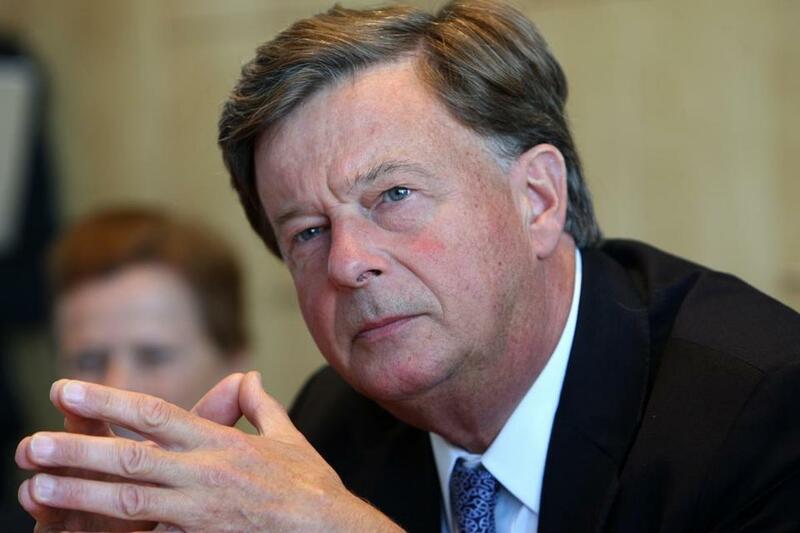 During his nearly three decades running Genzyme, and in the years after, Mr. Termeer served on the boards of numerous biotechs, among them the Massachusetts firms Abiomed and Lysosomal Therapeutics. Mr. Termeer also was a leader in the nonprofit realm of health care research and policy and helped found the Network for Excellence in Health Innovation, a nonpartisan national health policy institute that is based in Cambridge. “His vision and his passion and his stability in moving toward that true north of coming up with cures for orphan diseases really nourished everything he did in the nonprofit world,” said Wendy Everett, who was the institute’s first president and is now a special adviser to the group. Orphan diseases affect relatively few people, but Genzyme made treating them profitable by setting prices high for insured patients. Many of the company’s drugs cost hundreds of thousands of dollars a year per patient. Wealthy after Sanofi bought Genzyme — Mr. Termeer held Genzyme shares worth at least $145.9 million and left with a $12.5 million severance package — he put his personal fortune to use in the field he helped create. Research at the center he and his wife funded at Mass. General focuses on the genetic makeup of illnesses and rare kinds of tumors for which there have been few effective treatments. The center designs targeted therapies, which zero in on vulnerable points in the genetic makeup of tumors, disabling pathways that enable them to grow. 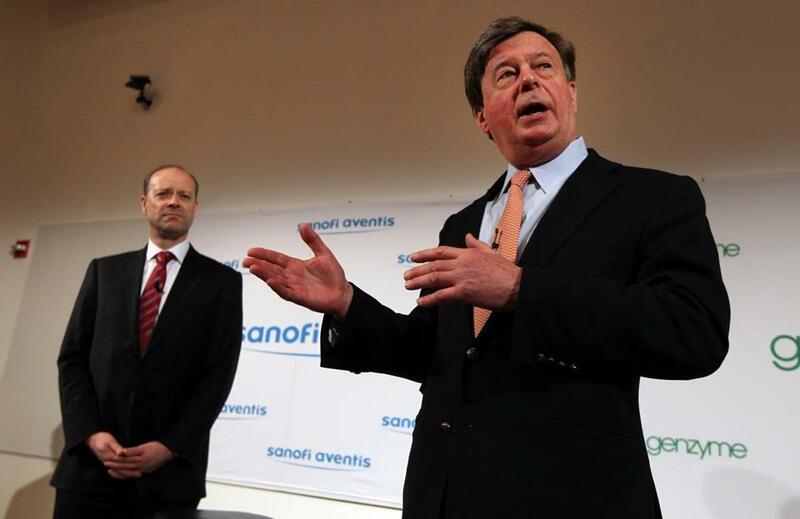 Mr. Termeer spoke in February 2011 at the news conference announcing Genzyme’s purchase by Sanofi SA. Mr. Termeer viewed Greater Boston as a central place for pathbreaking research, the nurturing of scientists, and the growth of biotech companies that could change the lives of ill patients around the world. Mr. Termeer guided the early careers of many who went on to become industry leaders. Mr. Termeer, who also was a life member of the MIT Corporation — the Massachusetts Institute of Technology’s board of trustees — spoke about the field’s nascent days in a 2011 interview with the Globe. In the early 1980s, “we had the beginnings of the biotechnology industry,” said Termeer, who had been working as an executive for health care conglomerate Baxter International in Southern California. “One day I got a call to visit whatever it was at Genzyme. And it was, of course, not much. It had the right ingredients. I liked that the direction hadn’t been really established. It was an open book. I could go where I wanted to go. I gave up my job, gave up half my income, and moved here. Caren Arnstein, a close associate of Mr. Termeer who served as Genzyme’s senior vice president for corporate affairs, said he hired her after learning her sister suffered from Gaucher disease, a rare genetic disorder that Genzyme developed a therapy to treat. Born in the Netherlands, Mr. Termeer studied economics at the Nederlandse Economische Hogeschool, which is now part of Erasmus University Rotterdam. He graduated with a master’s in business administration in 1973 from the Darden School of Business at the University of Virginia. Mr. Termeer was on hand to announce Genzyme’s $150 million expansion of its Allston plant in 2008. Founded in 1981, Genzyme was a fledgling company when Mr. Termeer joined the company. It grew from fewer than 20 employees in the year it was started to about 12,500 worldwide when it was sold. During those years, it won regulatory approval for a range of drugs to treat rare diseases. Thousands of patients globally were treated with Genzyme products, including the enzyme replacement therapies Cerezyme for Gaucher disease and Fabrazyme for Fabry disease. It also launched development of Lemtrada, a multiple sclerosis drug for which Sanofi won approval after the buyout. At its outset, Genzyme was among the few biotech companies in Massachusetts. The 2005 opening of its Kendall Square corporate headquarters, Genzyme Center, highlighted the growth of the sector, helping spawn other startups and draw other biopharma players to the Boston area from across the country and abroad. In 2009, a virus in Genzyme’s Allston plant, and subsequent contamination problems, prompted the company to halt production some of its drugs. The company’s stock price fell, attracting attention from activist investors such as billionaire business magnate Carl C. Icahn, who became Genzyme’s largest single shareholder. Icahn pushed for Genzyme to be sold, which Mr. Termeer resisted until 2011, when Sanofi struck the $20.1 billion buyout — the second-largest in the history of the biotech industry. Mr. Termeer’s survivors include his wife, Belinda, and their daughter, Adriana, of Marblehead; a son from a previous marriage, Nicholas, who lives in England; two sisters, Ineke of France and Marlies Verduijn of the Netherlands; and three brothers, Bert, Paul, Roel, all of the Netherlands. Plans for a memorial service were not immediately available. When he first began leading a company that had its roots in a Combat Zone warehouse, “some of my friends would visit me and say: ‘He’s lost it. This is going to be such a disappointment after a while,’ ” he recalled. Robert Weisman can be reached at robert.weisman@globe.com. Follow him on Twitter @GlobeRobW. Bryan Marquard can be reached atbmarquard@globe.com.